The Solar System hasn't been the same since Pluto was downgraded from a planet to a dwarf planet, and all bets have been off since this monumental decision. Case in point, last year, scientists at the California Institute of Technology proposed that there might be a true Planet Nine in our solar system. The team asserted that it appears to be 10 times the mass of Earth and that it is hiding out in the remote recesses of our solar system—well beyond the orbit of Pluto. Related: The Sun's Rotation is Slowing Down. Here's Why. Similar discoveries have been made in relation to new dwarf planets. Located about 13.7 billion km (8.5 billion miles) from the Sun, 2014 UZ224 measures about 530 km (330 miles) in diameter and takes around 1,100 Earth years to complete its orbit. And so, our littler corner of the cosmos has been in quite the state of flux. But it appears that there may be more surprises lying in wait at the edge of our Solar System. 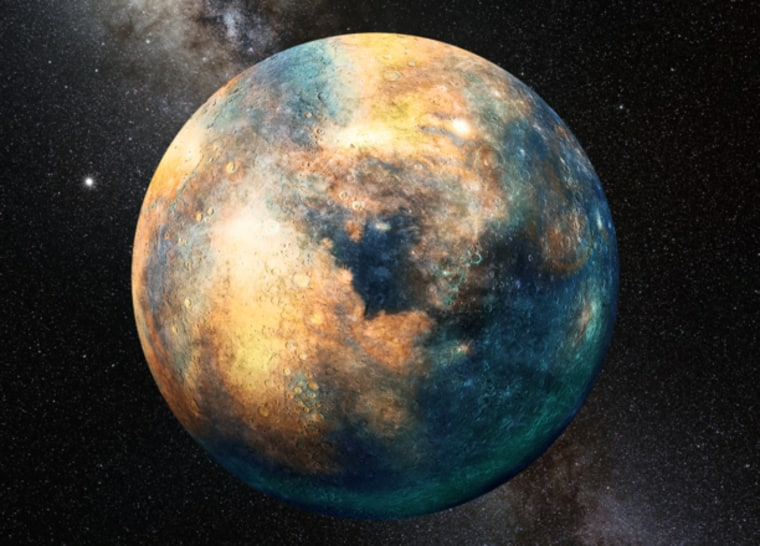 Kathryn Volk and Renu Malhotra at the University of Arizona have noticed some strange movement out in the Kuiper belt…movement that they believe could suggest the existence of a tenth planet. To break this down a bit: Objects in the Kuiper belt are far enough away from the other major bodies in our solar system that the gravitational influence of the large planets doesn’t impact them (at least, not to a measurable degree); however, their movements can still be predicted, thanks to sky surveys and a host of advanced technologies. Notably, if these predictions don't match up, it may mean there's another object—another large body—past our vision whose gravity is impacting the movements of the Kuiper belt objects. The search for Planet Nine has lead scientists to believe that it is orbiting around 700 AU from the Sun. However, Volk and Malhotra believe that this tenth planet could be much closer, as the orbit of Kuiper belt bodies shifted just beyond 50 AU. They also contend that the planet would be roughly comparable to Mars, in terms of size. Other astronomers, however, are not so quick to hop on this train of thought. Alessandro Morbidelli at the Côte d'Azur Observatory in Nice, France tells New Scientist "I am dubious that a planet so close and so bright would have remained unnoticed." Still, Volk is confident in these findings, which are set to be published in The Astronomical Journal. "It would have to be quite a fluke for this to not be a real effect," she says. "We think there is a real signal there and this implies an additional planet." The discovery of more bodies in the Kuiper belt will help to support or debunk these findings. Either way, our little solar family is going to continue to grow with these long-lost distant relations.